The 3rd Basel Sustainability Forum on Climate will be held in September/Ooctober 2018. This event is public and free of charge. The enormous opportunities for social and economic development associated with mobility, particularly for developing countries, and the thus arising environmental costs. The incompatibility between mobility preferences and global sustainable development. The limits of the current infrastructure and how it must be developed, despite an unknown future. The disconnection between technological development and individual or societal needs. The consequences of the shrinking of time and space for the economy and for social life. Large-scale migration away from poverty- and conflict-ridden regions, from rural to urban areas, and from the heartlands toward coasts, and its impact on regional, national, and global politics and infrastructure inadequacy. Incentive-based relocations of service and manufacturing centers and their consequences on accountability and governance, environmental and labor conditions, and on fiduciary and corporate responsibilities. The 2nd Basel Sustainability Forum will address some of these issues, covering local as well as global links to mobility. It brings together representatives from academia, politics, and the private sector to discuss current and future developments of mobility systems and their consequences on the future of mobility. In the name of the organizers and sponsors of this event, I am looking forward to welcoming you in Basel on 15 September 2017. Ed Constable's Opening and Welcome Speech at the 2nd Basel Sustainability Forum. Silvie Landriève - Mobility and Lifestyles: What Aspirations for the Future? … is the slogan of the European Mobility Week 2017. 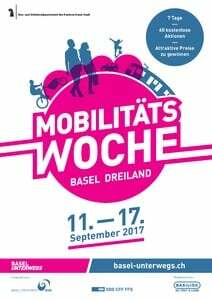 Together with more than 2400 cities, Basel will take part in the campaign to raise awareness for sustainable urban mobility. During 7 days, from September 11 to 17 2017, more than 40 campaign partners will offer more than 60 free, attractive and engaging activities in and around Basel. “Moving” experiences for a broad audience. Find out, how sharing gets you further: Try out shared cars or the new cargobike rental system. Stay informed about clever ways to combine public transport, bicycle and car on your way to work. Enjoy special walks and bicycle rides, a solar powered boat trip or the bike taxi happy hour and experience the shared benefits of sustainable mobility for your fitness, city life and the environment. As a participant you can also win attractive prices that will get you moving, for example SBB 1-day travelpasses or a monthly Green Travelcard (U-Abo) for the entire TNW Transport Network. Take part in our varied activities, enjoy yourself and gain new insights – a visit will pay off. If you need assistance, please e-mail the Conference Secretary. Sponsoring the BSF2017 will give you a unique opportunity to present your organisation’s products, services, and ongoing sustainability projects, as well as to connect with scholars and practitioners engaged in policy and change-relevant research. 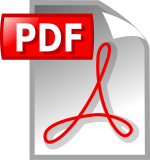 Subscribe to the BSF2017 conference news by submitting your email address on the left of this page. Mobility and Lifestyles: What Aspirations for the Future? This event is public and free of charge but you must register here. The event is public and free of charge but you must register here.